Do You Suffer From Bitcoin FOMO? 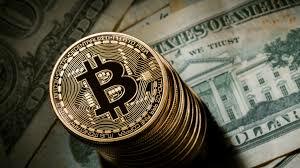 Perhaps you’ve noticed that bitcoin is now worth around $16,000 and that it’s made some people into billionaires. Do you wish you’d gotten in on the action earlier — and does that mean you should buy it now? Fear of missing out (FOMO) shouldn’t be your rationale for making any investment. If you buy bitcoin today, you might be investing at a near peak, right before the descent begins — something professional investors call chasing performance. Of course, you’re not alone if you’re feeling this temptation, since lots of retail investors make this mistake. The smarter move would be to keep watching how bitcoin’s value moves — wait for it to descend to what might look like a trough and maybe try to buy at that time. What you’ll see in the meantime might remind you of a rollercoaster, or perhaps something that goes up and down even faster than that. Actually, volatility is part for the course with bitcoin and all other cryptocurrencies — there are now hundreds of them in existence. There’s an ironic chicken-and-egg aspect to this volatility: it limits the currencies’ appeal to investors, but relative dearth of investors in the currency keeps it volatile. That’s not the only thing keeping it volatile, of course. Another very basic driver of the volatility has to do with the foundation of cryptocurrencies. Regulation of cryptocurrencies are a work in progress. The velocity that bitcoin moves at invokes comparisons with derivatives — like small-cap stock options. One of the reasons why the value can plunge so quickly has to do with the relatively small size of cryptocurrency markets compared to other asset classes. This is actually challenging for even professional investors to move around in. They find it difficult to take on a large position in markets of these size: Any move into or out of the currency is noticed by the rest of the market and they typically also move in the same direction. This has the result of amplifying the momentum of an upward or downward movement in the exchange rate, intensifying the volatility. All of this also makes cryptocurrencies challenging for novice investors to do anything other than perhaps try to make a long-term investment — or simply watch the market and learn from its development. Otherwise, if you rush into bitcoin trading with the attitude of a day trader — intending to move around a lot — you might get hurt, or at least get vertigo. Investing in bitcoin is not without risk. And what goes up quickly can also go down quickly. Investment professionals often compare the stock market to a casino, and the comparison also seems relevant to bitcoin. Just like there’s no way to predict where a spin of the roulette wheel will end, it’s impossible to time the market. Anyone who boasts that they can is either lying or destined to fall into the hands of regulators — although the regulators are still trying to reach an agreement on how they plan to handle cryptocurrencies. Readers, have you tried your hand at bitcoin — or are you wishing you did?